WaterBrand uses the following three colors for its color scheme. i like the theme! but can i add my one background? Verry nice theme, effects! and more super tanks! is there an theme like this for blogger.com? 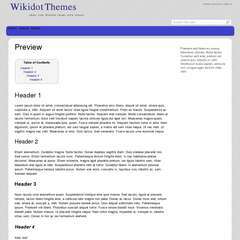 No; this theme is only compatible with Wikidot.